The grape vine in its wild state is a climber and its natural habitat was the forest. Over 5000 years ago man took the vine and began to cultivate it, presumably for wine. Wine-growers have long known the importance of soil, climate and the grape variety, a combination the French call “terroir”. Today we also understand the importance of viticulture the science behind cultivating the fruit. It is a well known fact that the creation of a great bottle of wine starts in the vineyard. What is meant by this is that the purity and quality of the fruit will dictate the quality and purity of the wine. Our philosophy behind the cultivation of our vines is simple, if we treat the environment with respect and work with nature, then in return we will be gifted with pure, clean and healthy fruit. Churchview Estate prides itself on doing our bit to look after the environment. Over the last 15 years we have worked hard to convert the vineyard from a full conventional to an organic operated vineyard. 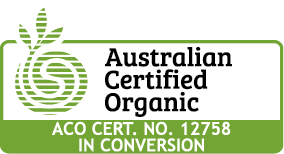 This means that we do not use any toxic chemical fertilizers or pesticides. Our management practises are based around the health of the soil. This means that if we can keep the soil healthy the vines will naturally be healthy as well. We carry out regular soil sampling to ensure that the soil is in balance, this ensures that the nutrients which naturally occur in the soil are readily available to the plant. By carrying out regular soil tests we can tell what the vines are actually using to produce the grapes and therefore only replenish the essential nutrients that are being used by the vine. We maintain a complete cover crop between the rows and under the vines. This means we do not need to use any herbicides which have adverse effects on overall soil health. Cover crops are made up of rye grasses and clovers which we let reseed before mowing and slashing. In the vineyard we will also seed lupins and clover to help the organic matter build up over time. To keep our soils healthy we spread organic compost throughout the vineyard on a yearly basis. We follow this with regular applications of organic seaweed, fish emulsion and potassium humate. This is applied not just to the vines but to the cover crops as well. This helps to have a complete healthy and fertile environment. The property was originally selected for its fertile and healthy soils and for the mainly north facing slopes capturing the best of the sunlight. This helps with the consistent ripening of the fruit. The estate is situated on one of the first major slopes heading south towards Margaret River on the Bussell Hwy. This gives us the opportunity to capture the natural runoff of rainfall to fill a number of dams on the property. The soils consist mainly of gravelly loam with some smaller plots of sandy loam. Some sections also have an underlying slightly clay base. These soils have the capacity to hold their moisture for longer into the summer meaning that the nutrients that are in the soil are available to the plant for longer into the summer. Most of our rows of vines run north south. This means that the vines and grapes capture the morning sun on the east, grapes are shaded in the heat of the day as the sun is above in the north and the grapes benefit from the cooler afternoon sun in the west. We have a split canopy system which allows for a larger canopy from the ground up. This gives a greater leaf area helping to ripen the grapes more evenly. 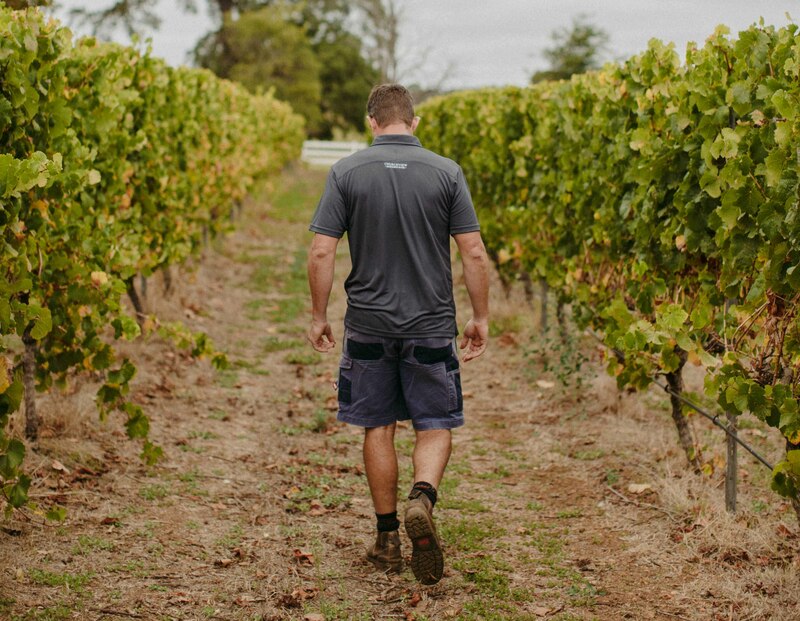 Every vineyard has the same essential annual routine, but there are scores of options open to the wine-grower as to how and when each job is carried out. The decisions of the growers will be dictated by climate, tradition, economics and the pursuit of quality. 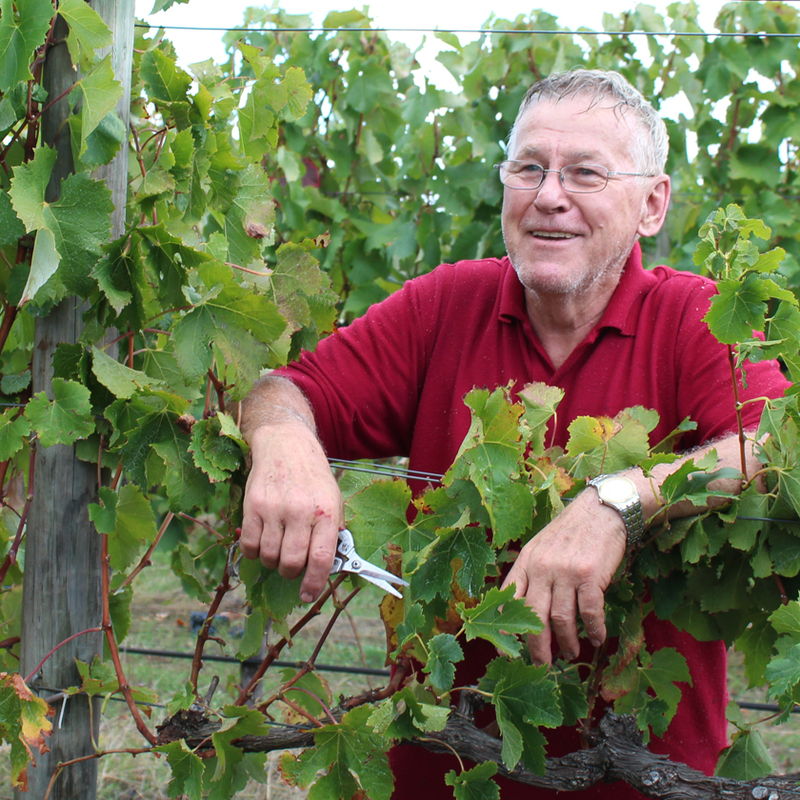 There have been enormous advances in the science of viticulture and the results of such research is shared world wide. We continously try to make improvements each year learning from our previous experiences and techniques. We also rely on new knowledge as well as a healthy portion of tradition. Our vines are pruned from June through to August. Budburst starts in spring during September. Flowering begins in middle to late November. In the middle of December the bunches start to fill out and rapidly increase in size. Late in January the fruit begins a process called veraison. This is where the grapes begin to change colour. It is also when the sugar levels in the grapes begin to rise on a daily basis. Harvest time can start as early as the middle of February for some white varieties and finish in the middle of April for some red varieties. After harvest and as the season changes the vines turn golden and drop their leaves before coming dormant for the winter months ready for pruning. 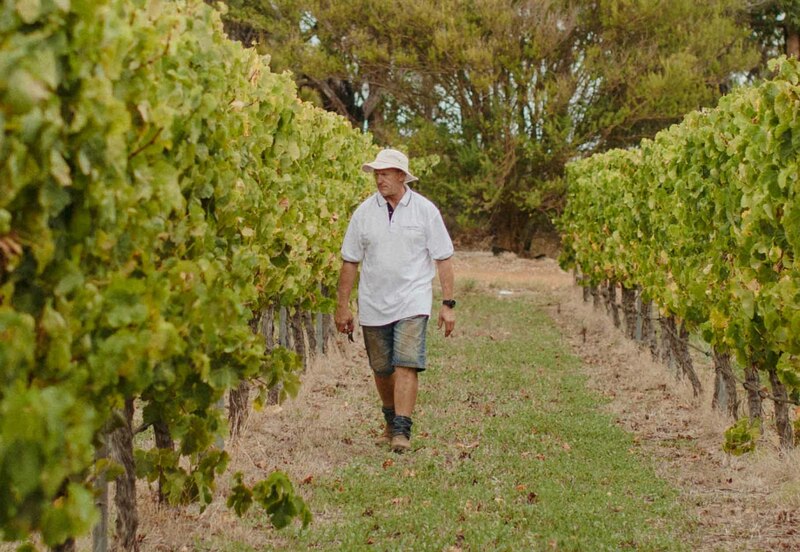 The 100 hectare property that is Churchview Estate currently has 56 hectares of vines. On the property we grow 16 different grape varieties and this is more varieties on a single vineyard that any other vineyard in the Margaret River region. The varieties are planted in various blocks across the estate depending on the best location for that variety. Listed below are all 16 varieties.